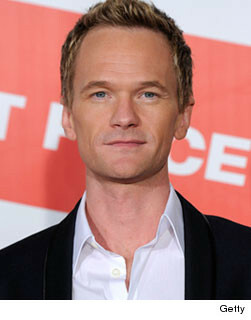 NEW YORK (AP) -- Neil Patrick Harris will be back for his third turn hosting the Tony Awards. Producers of the show announced Tuesday that the star of the sitcom "How I Met Your Mother" and a stage veteran would be back at Manhattan's Beacon Theatre for the ceremony honoring Broadway's best. It will be broadcast on CBS on June 10. Harris previously hosted the Tonys last year and in 2009 - the same year he hosted the Emmy Awards. As he did in 2011, Harris will also serve as a producer. In a statement, Harris said he was thrilled. "Not only will I be shining a spotlight on the best that Broadway has to offer, but hopefully I'll score some free house seats to a show - or five!" The 38-year-old Harris has starred in three Broadway productions, including "Assassins," "Proof," opposite Anne Heche, and as the exuberant master of ceremonies in "Cabaret." He currently stars as dapper ladies' man Barney Stinson on CBS' sitcom hit "How I Met Your Mother." Last year's Tony telecast was seen by 6.9 million viewers and posted a 9 percent year-to-year gain in the ratings for the 18-to-49 demographic. The boost came even though it aired opposite Game 6 of the NBA Finals, in which the Dallas Mavericks clinched the championship against the Miami Heat.